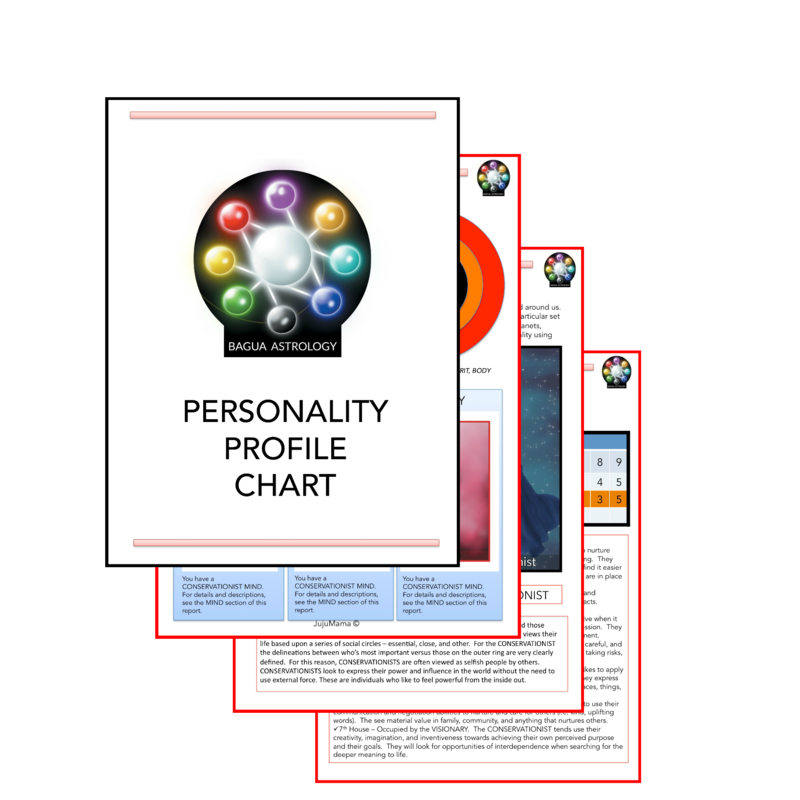 The Bagua Astrology Report is an 18 page report detailing your MIND (mental), SPIRIT (spiritual/soul), and BODY (physical) make-up. All you need is your name, date of birth, gender of birth, and hemisphere of birth (north or south). NOTICE!!!! 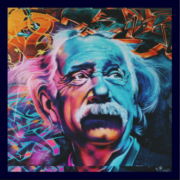 THE SPECIAL FOR REPORT + 25 MINUTE CONSULTATION IS SOLD OUT!!! PURCHASING THE REPORT WILL NOT INCLUDE THE 25 MINUTE CONSULTATION GOING FORWARD. 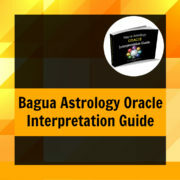 EMAIL US AT baguaastrology@gmail.com WITH ANY QUESTIONS. How you tend to view the world. The report is downloadable as a PDF. 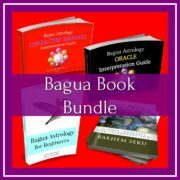 Graduates of the Bagua Astrology course get access to running reports at a deep discount. 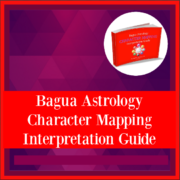 Inquire at info@baguaastrology.com for more details. Pro-Members receive a discount on the report.